On Thursday, President Trump announced his intention to withdraw the United States from the Paris climate agreement reached in 2015 by almost all of the world’s countries. The move triggered approval among some of the president’s supporters – who argue that the agreement would hurt American job growth – and dismay among environmental advocates – who argue that withdrawing gravely endangers the planet and the economy. With so many opinions flying, the president’s decision also raises questions about the economic facts surrounding the Paris agreement and how recommitting to or withdrawing from the agreement could impact the American economy in the short and long terms. 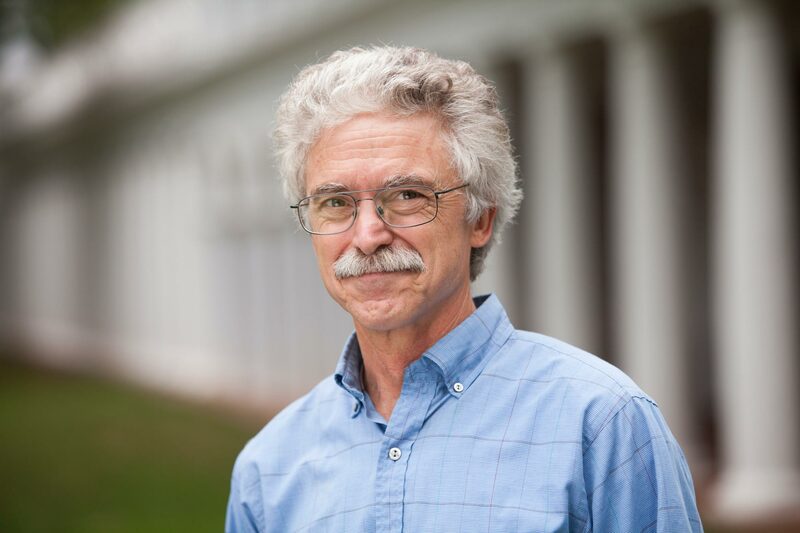 University of Virginia economist William Shobe can help answer some of those questions. Shobe is a professor of public policy in UVA’s Frank Batten School of Leadership and Public Policy, an adjunct professor of economics and the director of the Center for Economic and Policy Studies at UVA’s Weldon Cooper Center for Public Service. UVA Today spoke with Shobe shortly after the president announced his decision. Coincidentally, Shobe was attending a conference on environmental economics at the time, where hundreds of economists were digesting the day’s news. Q. In his speech, President Trump cited a National Economic Research Associates study claiming that the Paris agreement would result in millions of jobs lost, especially in the industrial and manufacturing sector. How might remaining in the agreement have impacted that sector, particularly the coal industry? A. Overall, there has been a shift away from coal and toward natural gas and renewable energy that was happening well before the Paris agreement. The coal industry is now a relatively small industry in the United States, employing about 90,000 people. In Virginia, for example, the coal industry has been shrinking for years as mines have produced less coal. Few companies are building coal-fired power plants because they are simply less economical than investing in burgeoning natural gas, wind or solar energy. The Paris agreement was not going to significantly change that trend. Additionally, most economists I have spoken with – all very data-driven people – agree that the NERA numbers the president referenced are too large and do not account for several important factors. For example, the NERA study only considers regulations from the Paris agreement, not from the many initiatives that states, cities and counties have implemented to curb emissions. It also ignores countries’ responses to the United States’ withdrawal. Most countries are implementing their own controls under the Paris agreement, and they could, for example, impose tariffs on American goods with high carbon content. Those sorts of border adjustment taxes are consistent with trade agreements that are already in place. Q. Supporters of the Paris agreement have argued that job losses in the coal industry could be offset by job growth in the renewable energy sector. Is this a feasible argument? A. It is not necessarily that simple, and not an equal substitution. It is clear that there are a lot of jobs opening up in renewable energy, and that workers could be retrained to do those jobs. It would certainly require a lot of transition and movement as people seek new opportunities; however, that is fairly normal when new industries rise as old ones decay. Q. How might withdrawing from the agreement impact job growth in the renewable energy sector? A. Honestly, I do not believe it will have a tremendous impact on growth in the renewable sector. Companies are building wind turbines like crazy in the Midwest, not because the Paris agreement stipulated that we should, but because it has become the most economical thing to do. That activity and those jobs will continue independently of the Paris accord. A related example in Virginia provides a good illustration. Earlier this year, the Trump administration began repealing the Obama-era Clean Power Plan – regulations designed to reduce CO2 emissions from electricity generation. However, most economic models indicate that Virginia was already on track to meet the plan’s target with very little changes or costs. In other words, the state is likely to comply with the plan – not for political reasons, but because “business as usual” was already shifting away from high CO2 emissions and bringing us into compliance. Q. Given that many American companies have operations abroad, how could withdrawal from the agreement – currently upheld by most other countries – impact their operations? A. It will certainly complicate things for these companies, as other countries could now be more hostile to U.S. goods. Many companies have also said that the withdrawal could put them at a competitive disadvantage as they work to compete with other companies marketing themselves as “green.” American companies will now have to go through extra effort to satisfy consumers here and abroad who want companies to commit to environmental initiatives. When you withdraw from a treaty, you do not do it in a vacuum. The other countries in the treaty now have all sorts of options as to how they respond and what economic penalties they might consider. Because we forfeited our seat at the table, we will not be a part of those conversations. How losing that seat at the table will affect U.S. interests abroad is now a very important question. Q. Some of those major companies, as well as some governors and mayors, have announced that they intend to continue trying to reach targets set by the agreement. How could this ad hoc approach affect the economy? A. It will certainly cost much more. Responding at the federal level – and at the global level – helps everyone to move to the same lowest-cost option for reducing emissions. Responding state-by-state or city-by-city means that we will not get to that lowest-cost option as quickly or as consistently. It raises the costs of what those states and cities are trying to accomplish.